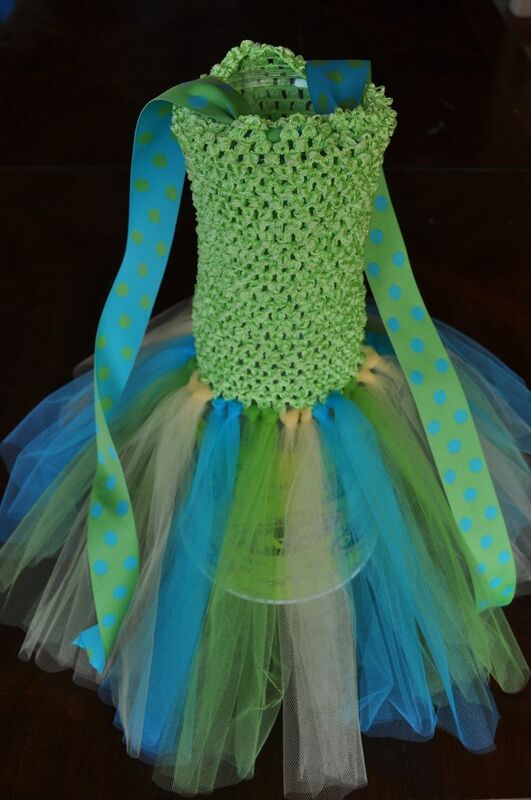 Crocheted Halter Tutu Dress Lime, Turquoise, Yellow, Sizes Nb-2t, 2t-6t. Dress Up And Play. This dress comes with a 8" halter top in lime green, with lime green, turquoise, and yellow tulle at 11" long, with turquoise/green dot ribbon to hold the halter top up. 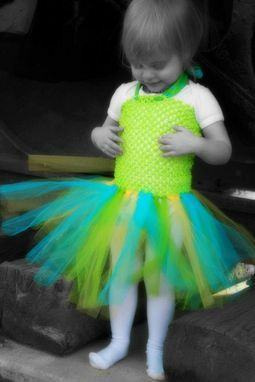 This fits sizes 2t - 6 slim. 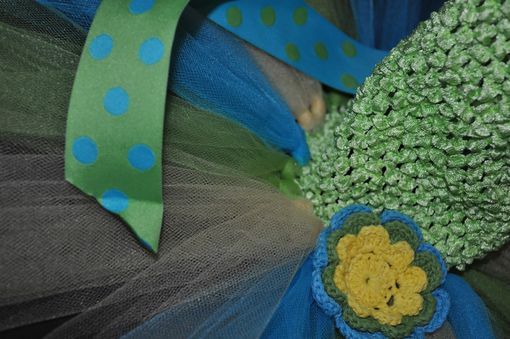 Does not include crochet flower in blue/green/yellow on a hair clip.